High school juniors and seniors—begin your college career early and at an affordable rate! Through the dual enrollment program, you’ll take online courses taught by Gordon faculty and comprised of current Gordon students. As you get a head-start on college credit, you’ll begin to discover how faith and knowledge are not only complementary but also integral to preparing you for all of life. Take a college-level course alongside current college students. Learn from a distinctly Christian worldview. Complete a full-semester college course entirely online.  Fulfill Core Curriculum requirements before enrolling at Gordon. Save 85% on standard tuition costs with this affordable option. Each online course fulfills a Core Curriculum requirement at Gordon, giving you a jump on credits before you enroll. If you choose to enroll elsewhere, these standard introductory philosophy and history courses are easily transferable (particularly among Christian colleges). Introduces students to important historical and thematic issues about what it means to be human: Who are we? What is our place in the cosmos and how do we relate to the natural world around us? What does it mean to find an object or work of art beautiful? What does it mean to live well as opposed to just living? What is the best way to live well together as a society of persons? How can we know what is true? And how, given that we are made in God’s image, are we to understand our relationship to God? Examines culture-building, development and change, and interaction of diverse peoples across a broad swath of history. Explores Christianity from its Middle Eastern roots through Renaissance/Reformation to global cultures of the contemporary world in political, technological, social and cultural contexts. Investigates Christian traditions, missionary endeavors, reform movements and relationships between adherents of different world religions. Introduces critical evaluation of historical evidence. Does not count toward history major. In-depth study of the environment and human interaction with it. Major topics include the science of ecosystems, ecosystem functioning, human effects on the world, stewardship ethics and sustainability. $150 per credit ($600 per course)—an 85% discount on standard tuition costs. Standardized tests: SAT combined (minimum)–1100; ACT composite (minimum)–24. Students who have not yet taken the SAT or ACT may submit PSAT scores. Online application may be completed at link below. High school guidance counselor approval required for registration. Limited to 20 students per class.